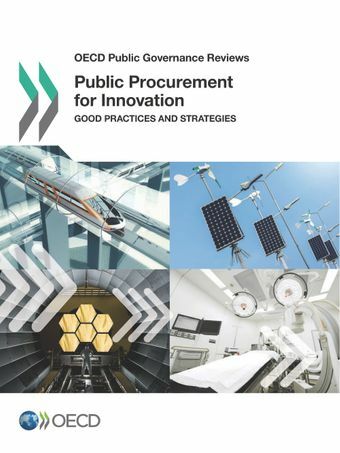 It was first presented at the OECD Forum on Procurement for Innovation by the OECD Secretary-General (Read his speech). Embed policy strategies with defined targets within any national, sub-national and regional innovation policy. Set up a legal framework, including understandable definitions, guidelines and templates to facilitate its implementation. Promote professionalisation by providing specific training to build staff capabilities and skills, setting up multidisciplinary teams and competence centres focused on public procurement for innovation. Raise awareness by publishing good practice cases, creating a dedicated knowledge-sharing platform and/or hosting workshops and seminars to share and build success. Undertake risk management and measure impact to reduce possible loss and damage, and increase trust. Define test standards, methods and quality certificates, using standardisation as a catalyst for innovation. Use appropriate e-procurement and information technology (IT) tools to carry out a proper risk assessment to measure impact.